Taking music back to its most primitive form is what musicians the world over try to achieve at one point. It's almost a return to those primitive forms that are a leveller to some people - the fact that when its stripped back to just guitar and vocals a multi-genre collision can come together and really compete on a level playing field. Some would say that music has lost its way over the years and that actual production has taken over the art of true songwriting and to a point I would agree with that statement, but its those little difference in the production styles which means we have the eclectic range of styles we have at our fingertips today. After a hugely successful spell in the Fugees and then onto a solo career with The Miseducation of Lauryn Hill", she has decided to take time out of the spotlight and simply challenge all her efforts into being an artist, rather than wasting energy competing with Missy Elliot or Pink. If anything this 2CD collection really fails under the weight of its own artistic self indulgence and what could have made a great collection of songs is marred by the constant commentary of Lauryn Hill. On the introduction to "Adam Live In Theory" she sums it up perfectly with the statement that "Fantasy is what people want, but reality is what people need.....and I've just retired from the fantasy". Its almost like in the quest for the truth she has lost her the very vision that set her on the way in the first place. 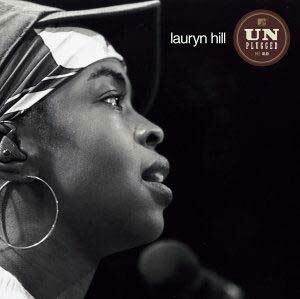 Stripped back to the simplicit nature of the songs, its really time to sit back and contemplate the lyrical genius of Lauryn Hill rather than marvel at the production technique's of and R&B diva. Looking back over her own choices in life and conflicts of race and religion in "Freedom Time", while in the next breath simply commenting on a small glitch in a relationship on "I Just Want You Around". Its these incidents in life that can leave us fighting for freedom on the streets of New York or London and then crying ourselves to sleep over the end of a relationship 24hrs later. Its never being able to differentiate as a person the difference between the big picture and the small scale drama's that we face everyday. With some heavy editing this album could have been a classic collection as a peace offering to fans who have been waiting for an eternity for the next collection of Hill's individual style. While the likes of "Mystery Of Iniquity", "I Get Out" and "The Conquering Lion" stand out in their own right as acoustic gems, you can't help get the nagging feeling of just how they would have sounded with full production.